The new 3.0 V6 TDI common rail diesel engine in the Volkswagen Amarok offers greater refinement than the previous 2.0 BiTDi, with 224ps and 550NM as standard. 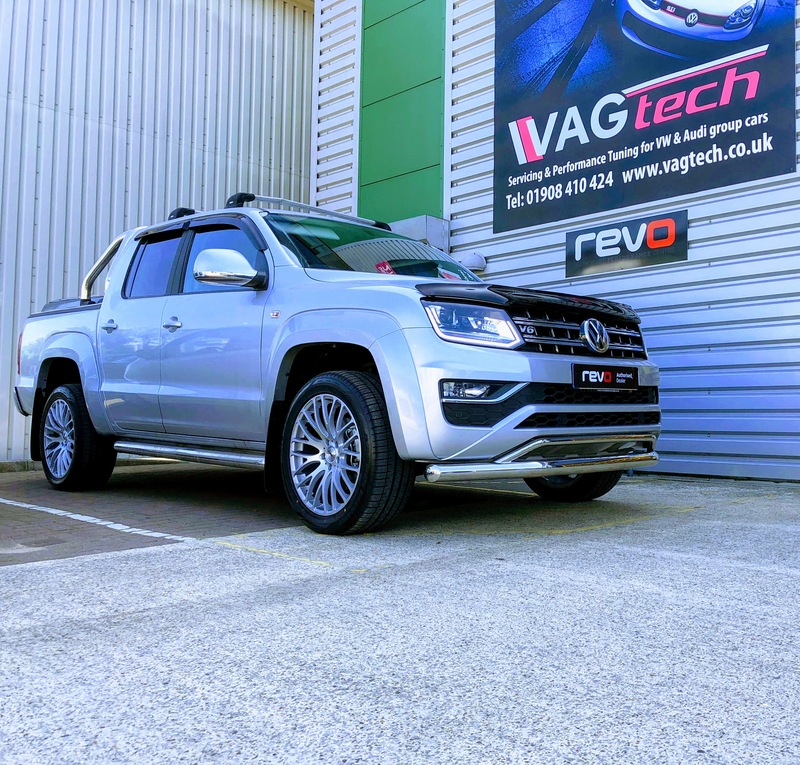 Revo software offers a 170NM peak torque increase, with impressive gains throughout the entire rev range providing improved flexibility and greater towing capability in any gear, the engine feels more enthusiast and eager, reducing 0-100mph by nearly 10 seconds! Major markets for the Amarok include South America, Australia and New Zealand, with temperatures in these regions often exceeding anything seen in Europe. Testing through the Revo Global Development Programme allows us to consider these factors and include additional safety features such as Temperature Protection. This protects the engine from extreme temperatures, actively monitoring EGT’s (exhaust gas temperatures) and reducing power until temperatures return to a safe level. Contact us for futher information or to arrange an apointment.